Hi everyone! Ali Blake from the Dream Club Mysteries here. 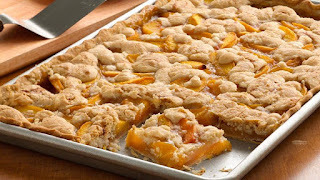 We're busy as ever at Oldies But Goodies,and now that summer is here, we're getting ready to add Peach Slab Pie to the menu. You know what a slab pie is, right? You don't need a fork or plate to eat it. We just cut off a square and plop it on a cardboard "to go" plate and the customers go on their merry way. It's one of our most popular "hand held" desserts. 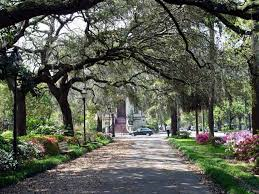 It's perfect for a quick snack when you really want to get back to strolling along the Riverfront, visiting a Savannah mansion, or soaking up the sun at Forsythe Square. 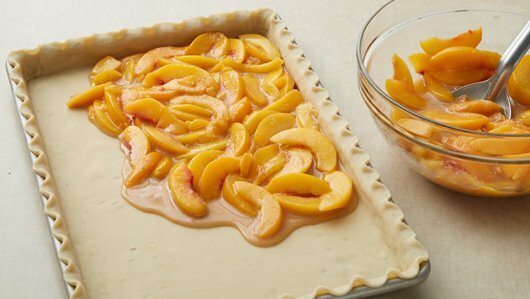 And you don't have to wait for "peach season," you can use frozen peaches, as I explained in the recipe below. The recipe is super-easy. Here goes. Preheat over to 400 degrees. In large bowl, mix brown sugar, cornstarch and lemon juice. Stir in peaches to coat. Roll out pie crusts to fit a 10 by 16 inch pan or baking dish. 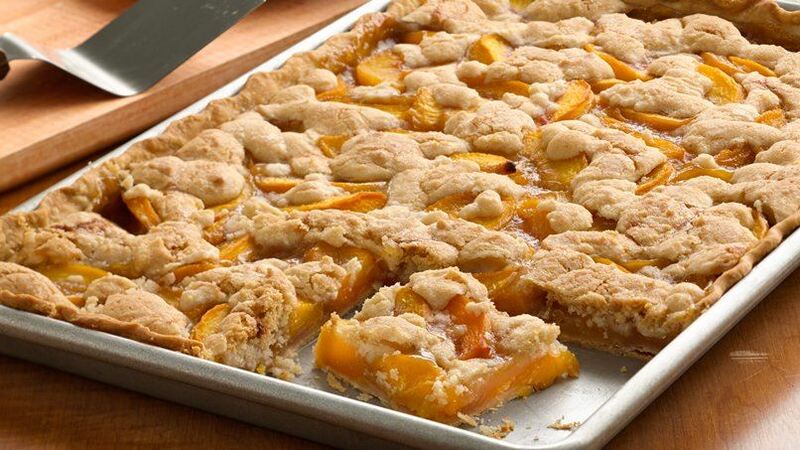 Spoon mixture into crust-lined pan. Break cookie dough half into coarse crumbs; sprinkle evenly over filling. (Wrap and refrigerate other half of cookie dough for another use.) Put pie in oven and immediately reduce heat to 375 degrees. Bake 50 minutes or until crust is golden brown and filling is bubbly. 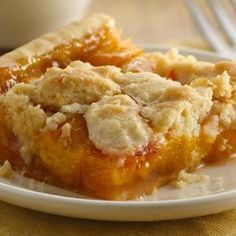 Cook for 20 minutes, cut into squares and serve. Serves 10 to 16 as "hand-held" or large brownie size portions. Now the best part. If the customers decide to eat in, at one of our little umbrella tables, I top the pie with whipped cream (or cinnamon ice cream). It's also delicious plain and easier to carry in the "to go" version. I hope you try this delicious recipe!! Bon appetit and thanks for stopping by. 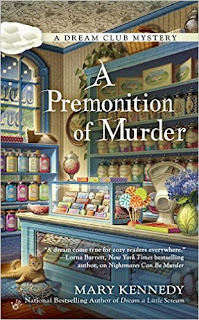 In case you'd like to learn more about the Dream Club and what Ali and Taylor are up to, the paperback version of book 3, A Premonition of Murder, is available for pre-order, right now, and it's on sale for $5.92. 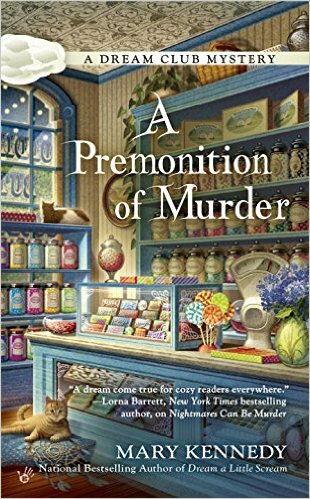 Labels: Berkley Prime Crime, cozy chicks, desserts, Mary Kennedy, peach slab pie. Dream Club Mysteries.